Asda prescribes Arnova tablet for £99 | What Hi-Fi? A fully-featured tablet for £99? 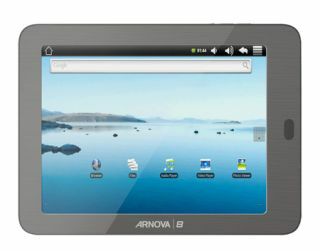 That's the promise from Asda, which is selling the £99 Arnova 8in tablet with wi-fi, 4GB of memory and an SDHC card slot. It's powered by the Android 2.1 'Eclair' operating system and is designed for music and HD video playback, showing photos, eBooks, playing games and browsing the web. Claimed battery life for music playback is up to 25 hours, and there's a mains adapter and USB cable for recharging when required. Alex Crowe, technology expert at Asda, says: "It's amazing what can be packed into this Arnova tablet... and at this price it can't be beaten."